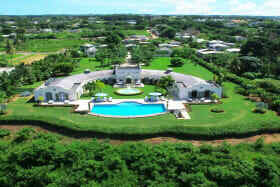 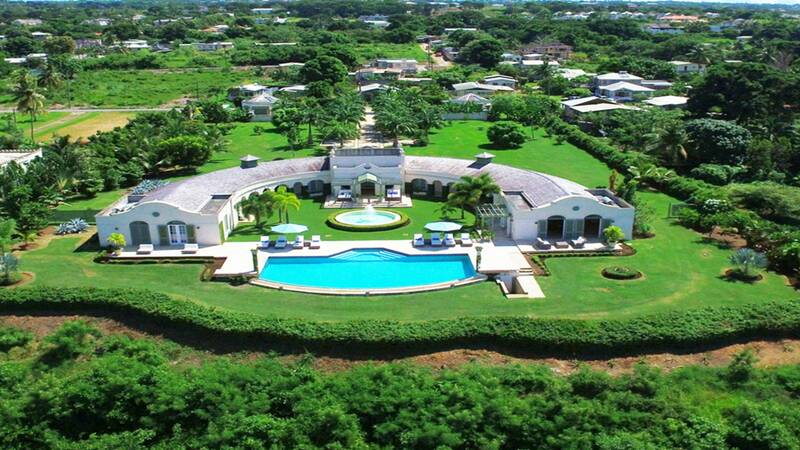 A beautiful architect-designed villa with unique half crescent shape, with stunning vistas of the platinum coast. 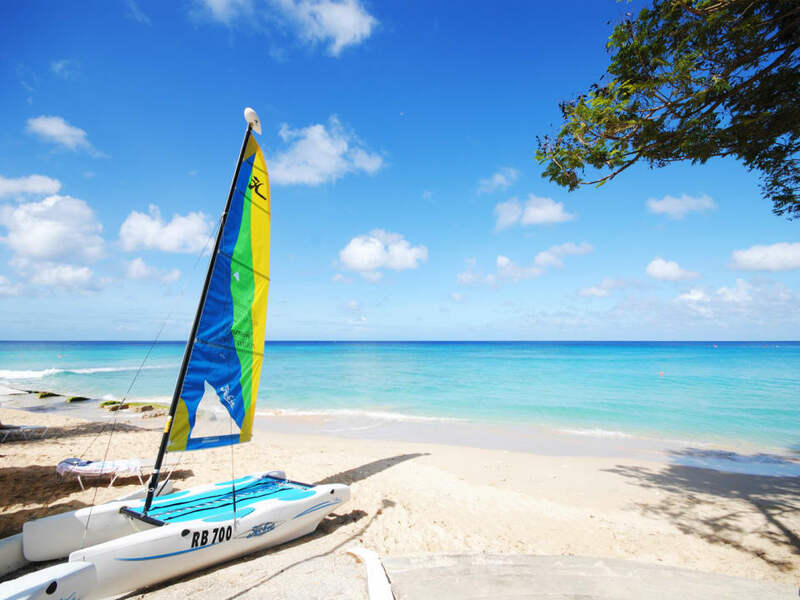 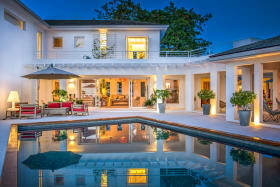 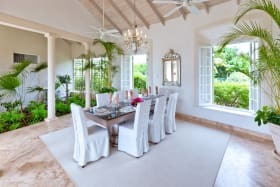 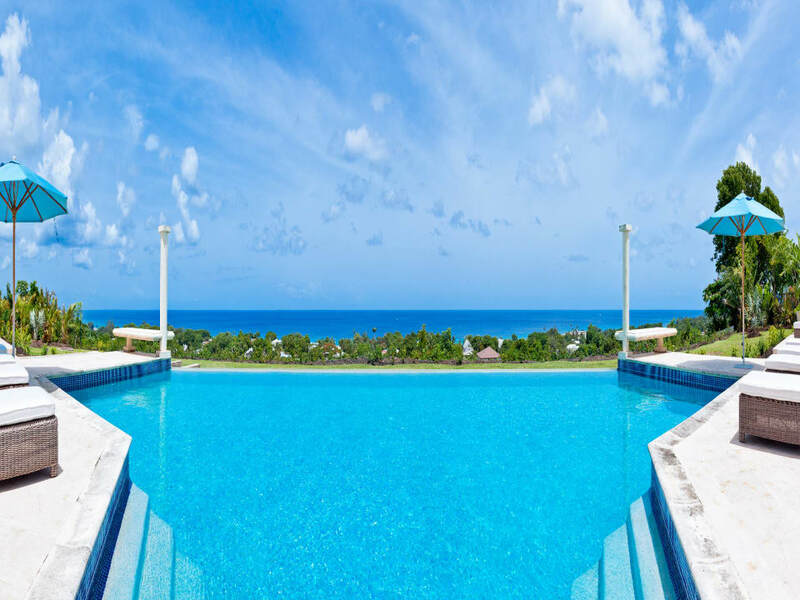 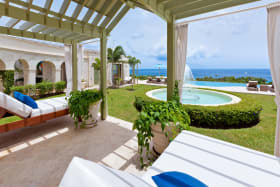 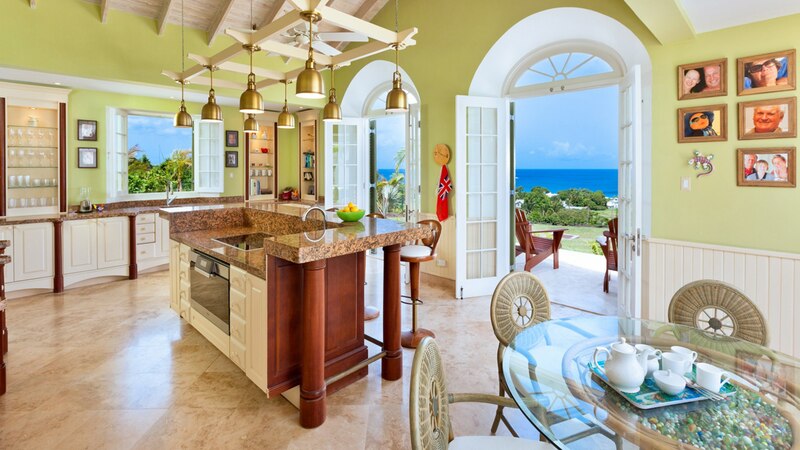 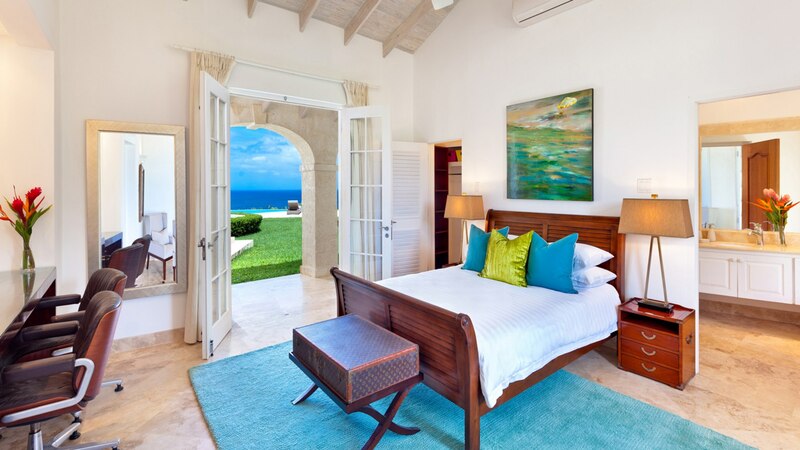 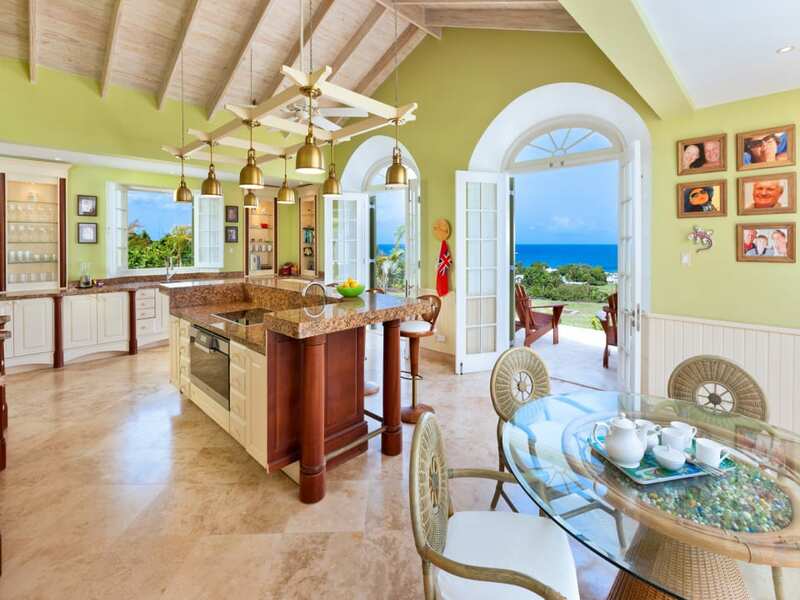 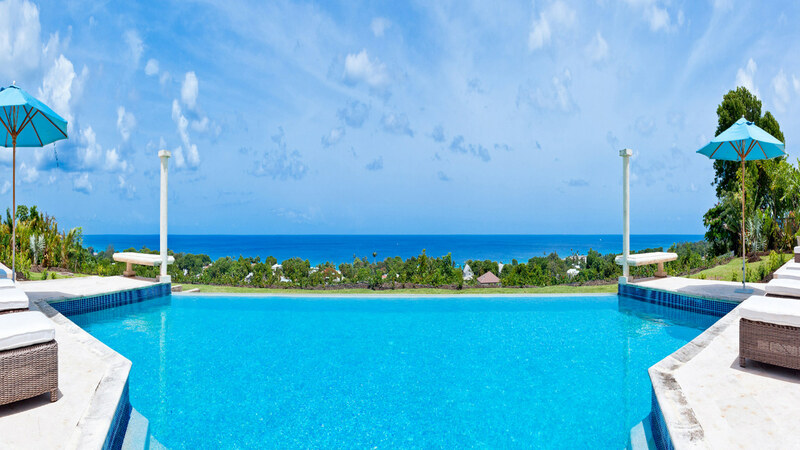 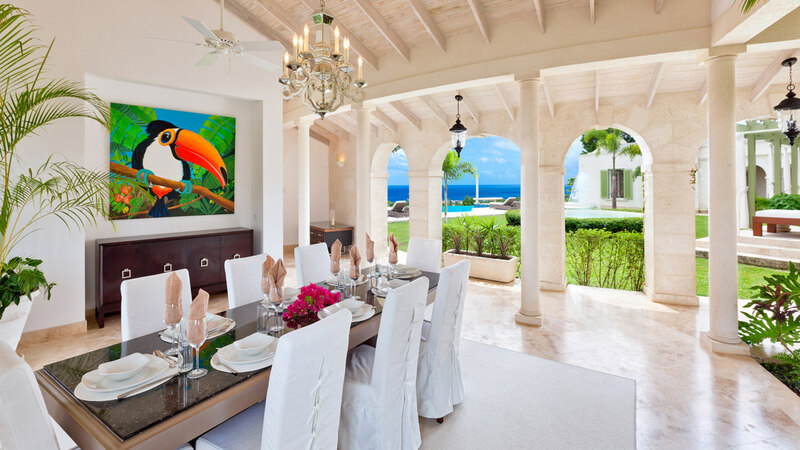 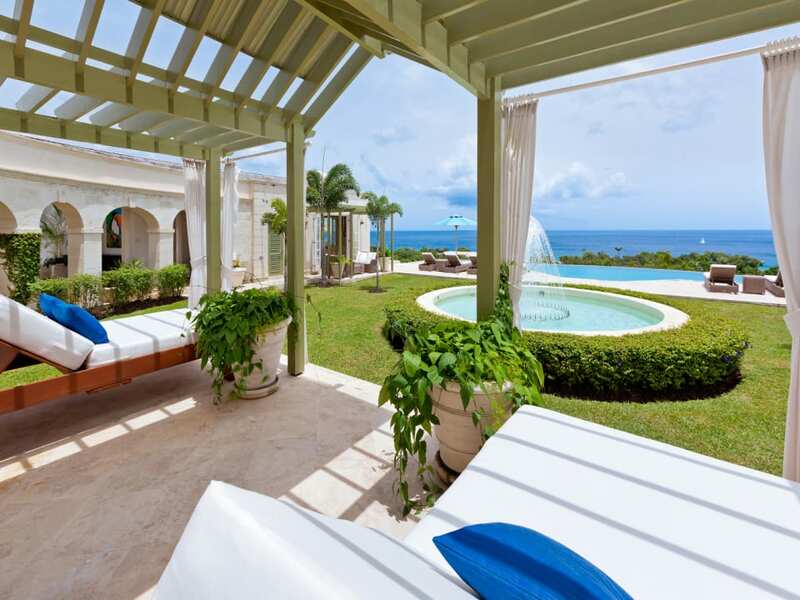 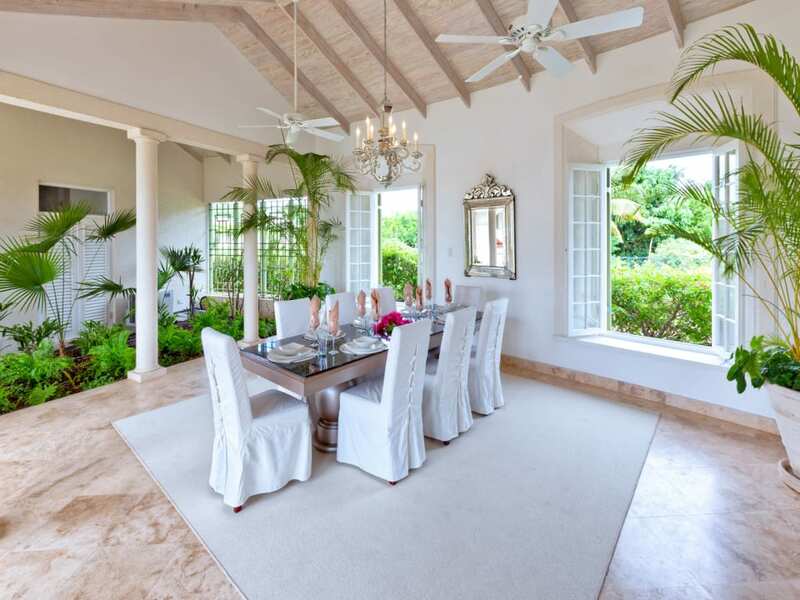 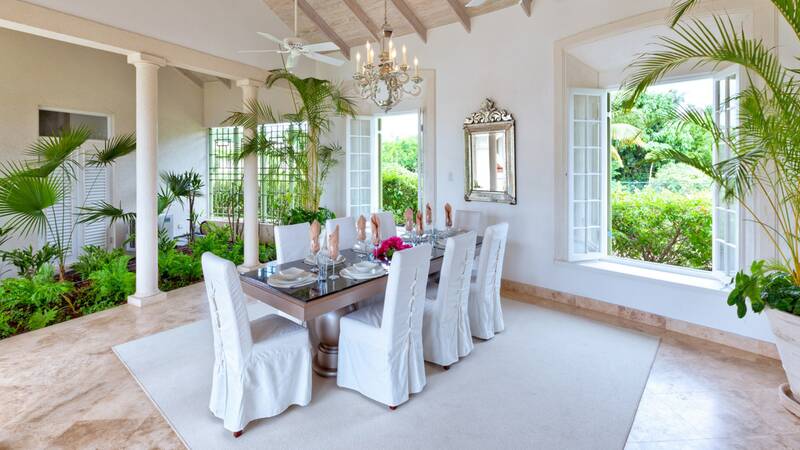 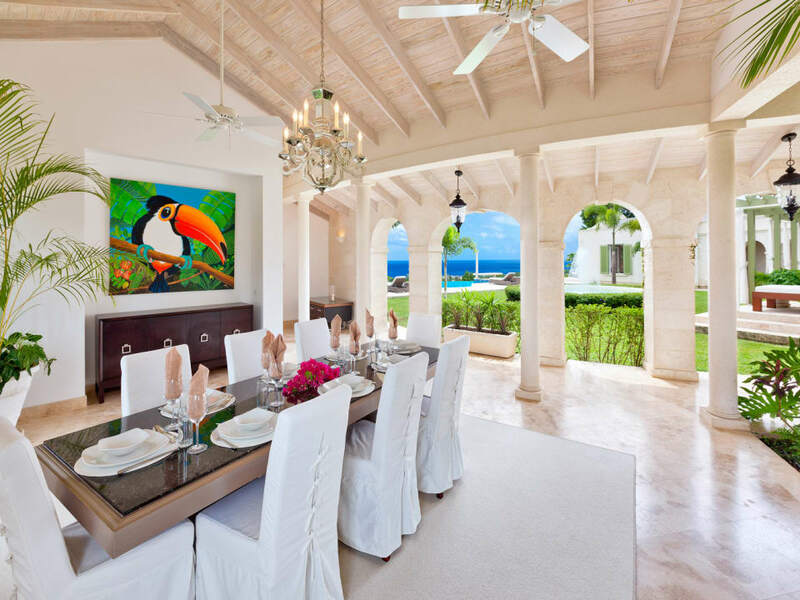 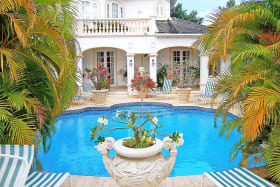 Marsh Mellow is an architect designed villa, situated on a ridge overlooking the West Coast of Barbados and the sparkling Caribbean Sea. 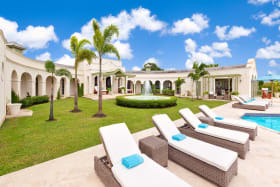 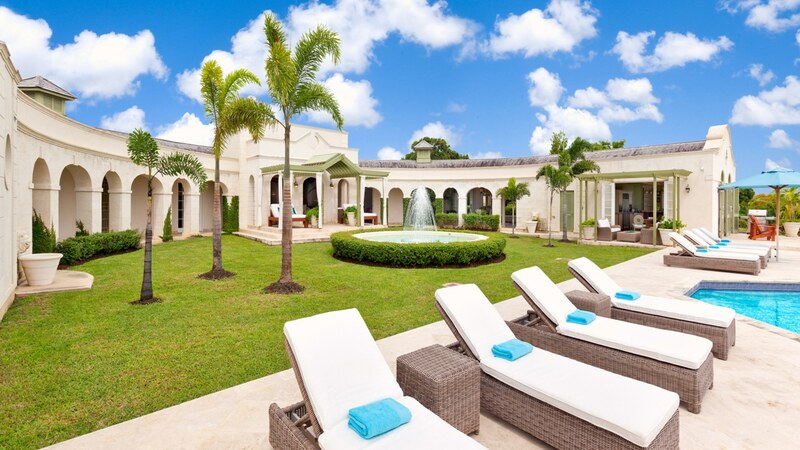 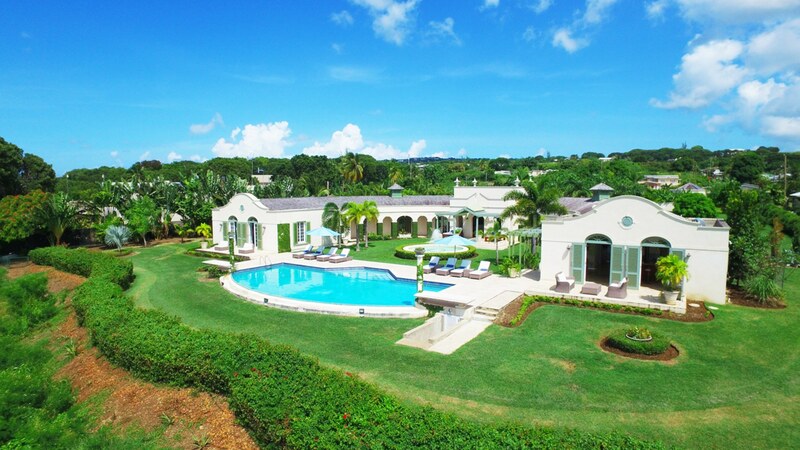 Occupying 1.3 acres of land, the residence is uniquely designed in a half-moon crescent shape; Ivy covers the Italian style columns and arches and the architecture showcases panoramic ocean views from every room. 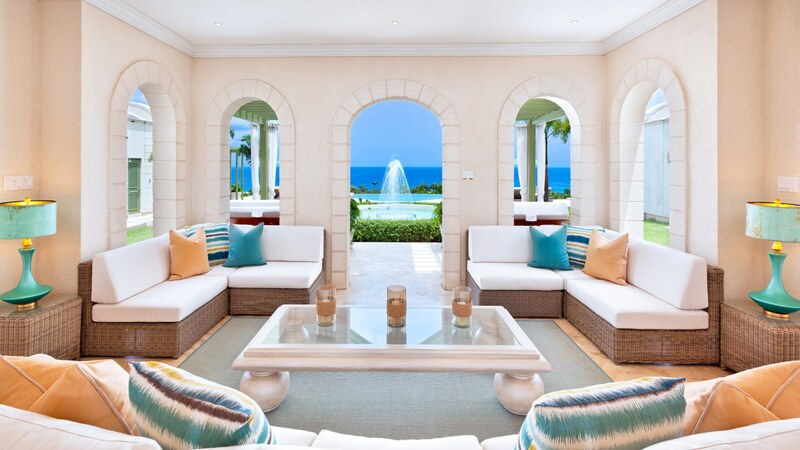 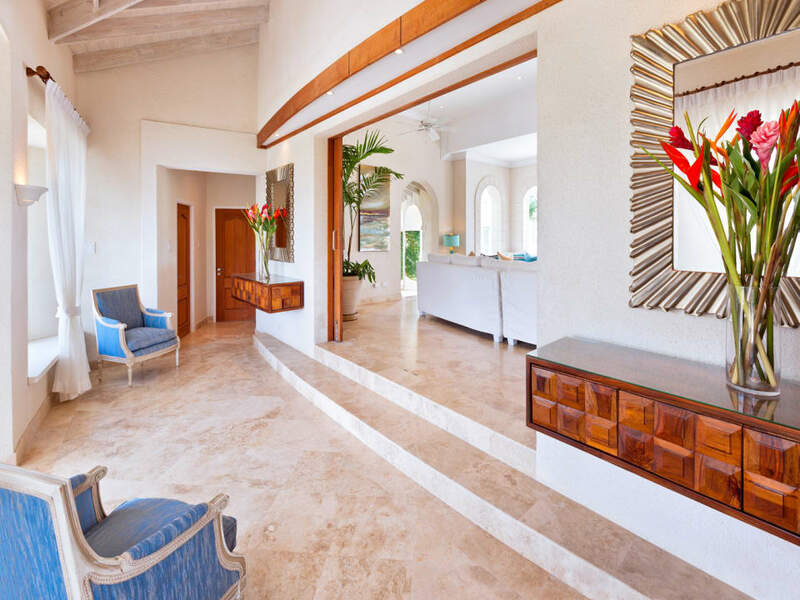 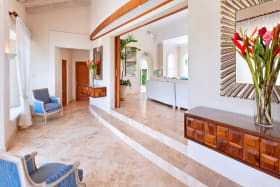 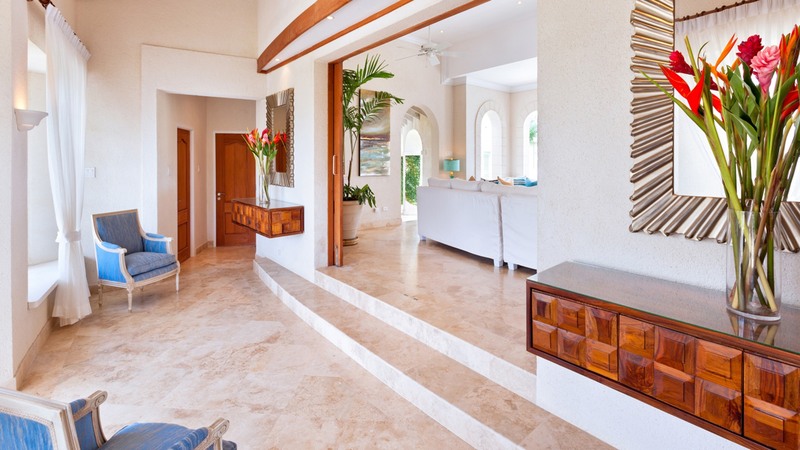 The central entryway leads into the open-air living room, which overlooks the garden, fountain, infinity edge pool and then on to the ocean beyond. 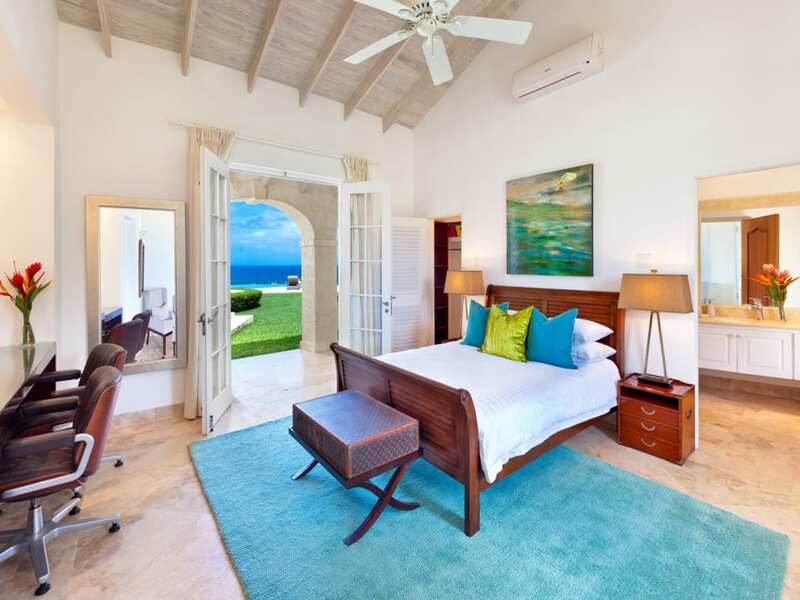 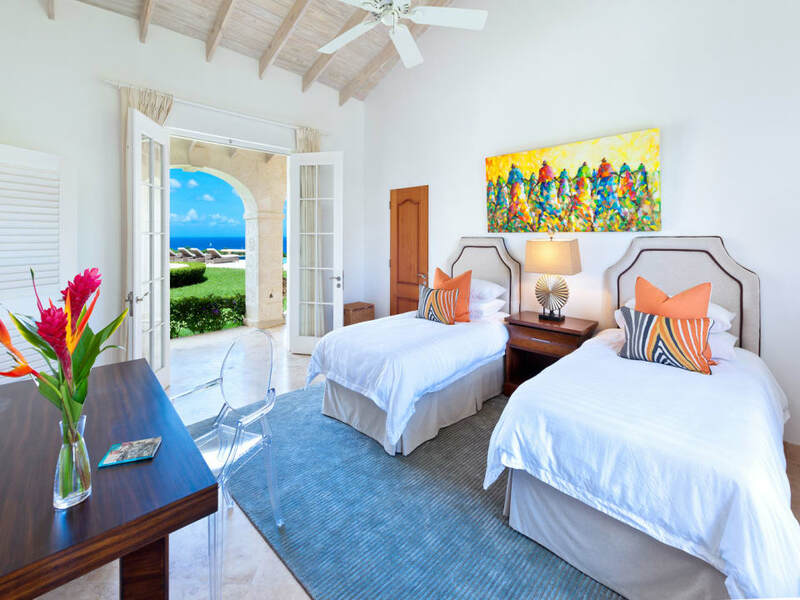 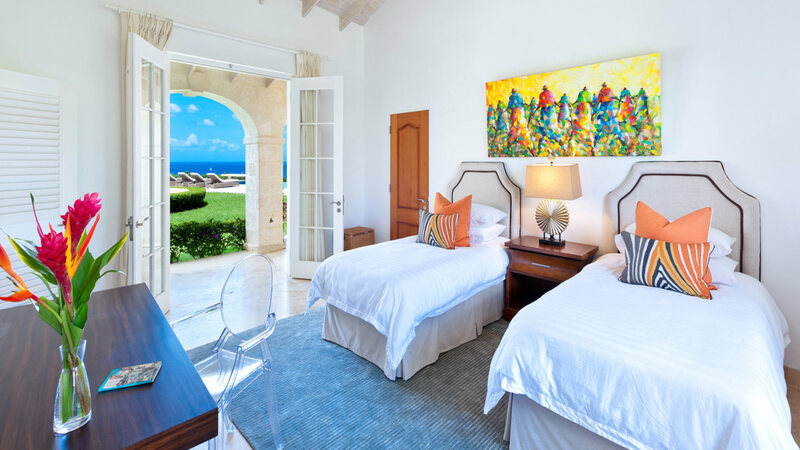 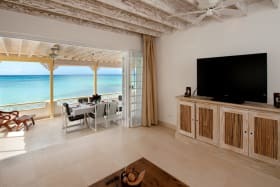 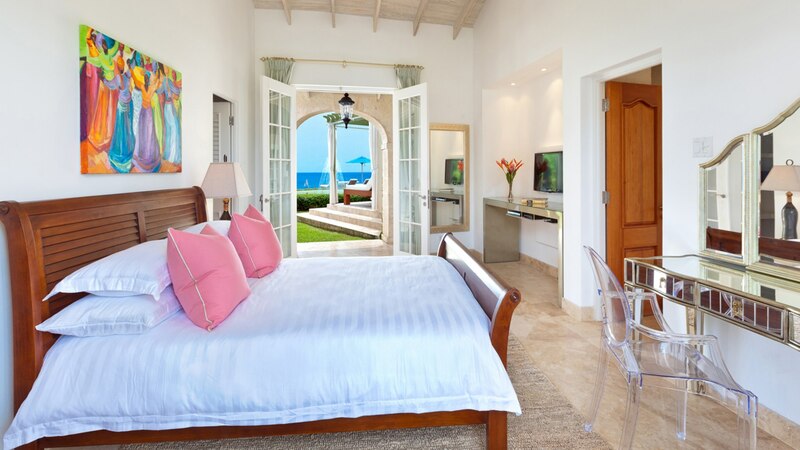 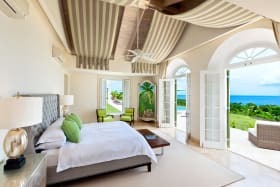 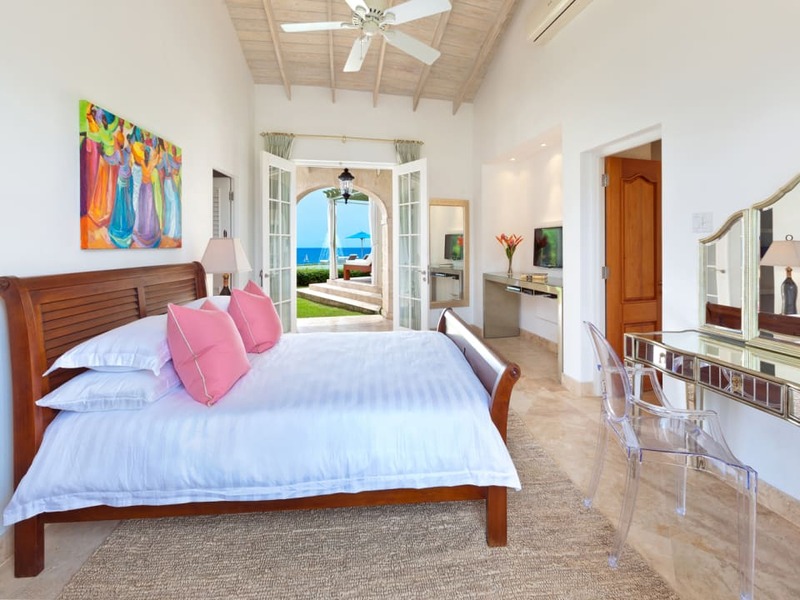 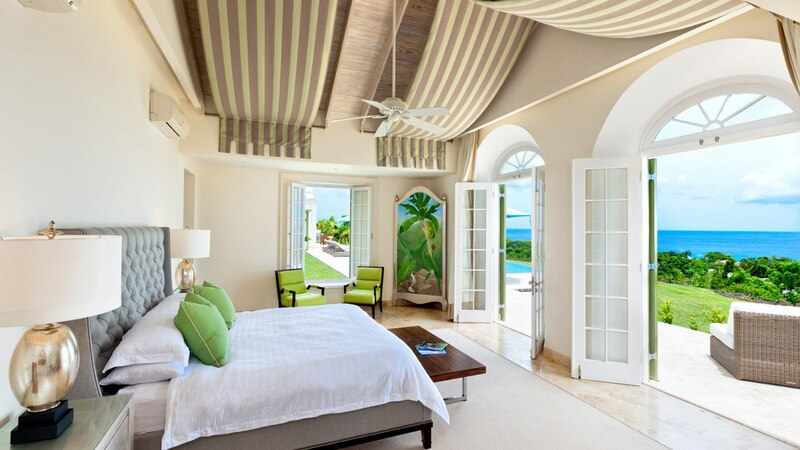 The master bedroom is located at the northern tip of the crescent, and it opens to a small terrace with direct access to the pool deck. 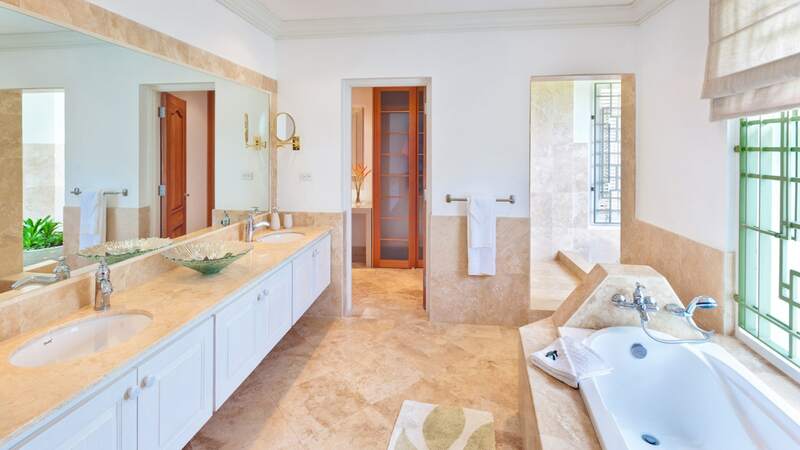 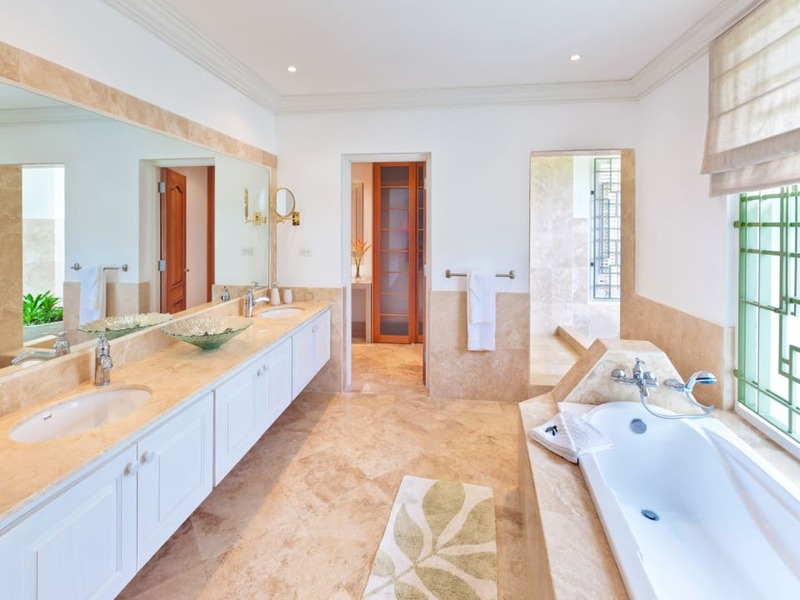 The en-suite bathroom features a large walk-in closet, soaking tub and open air shower. 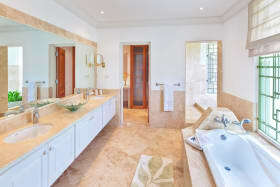 Bedrooms 2 and 3 are also situated on the northern curve, each with an en-suite bathroom and open air shower. 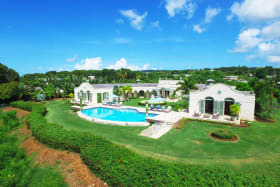 The southern curve of the crescent is where you will find bedroom 4 (also with en-suite bathroom), an open air dining room and indoor garden, and the large, well equipped kitchen and separate laundry. 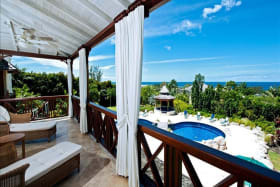 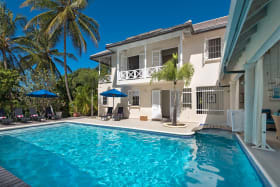 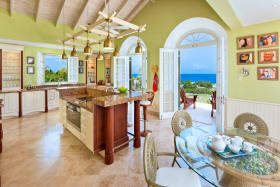 All rooms have direct access to the garden and pool deck. 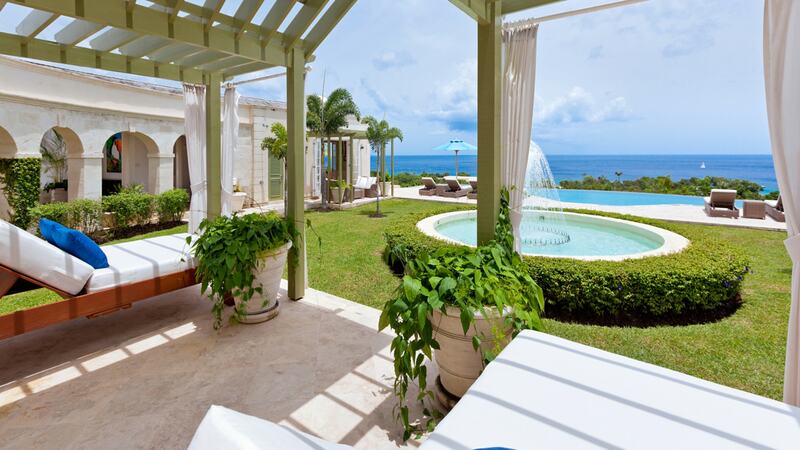 The villa has one of the best uninterrupted views of the West Coast. 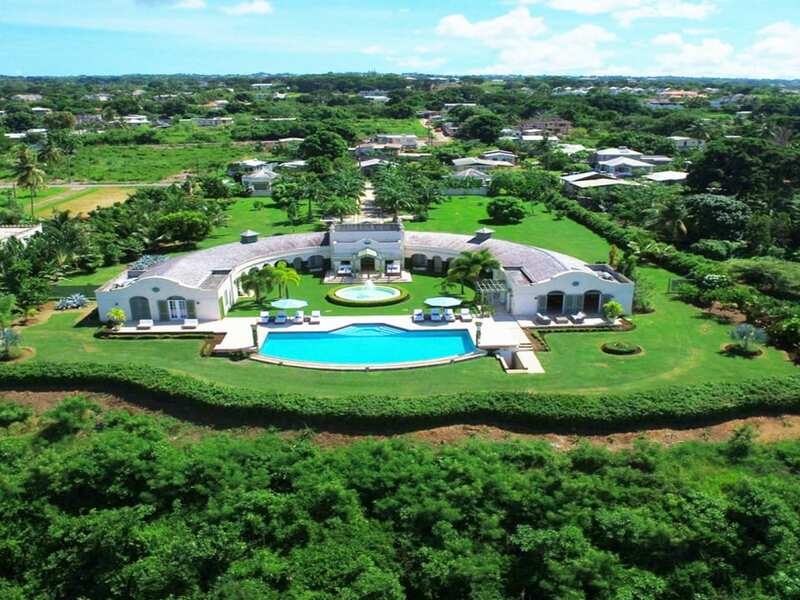 The asking price of US$3.25M is for Marsh Mellow villa only, and there is a further 0.95 acres of land, with planning permission for four homes and two existing cottages also available if required. 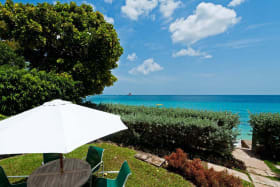 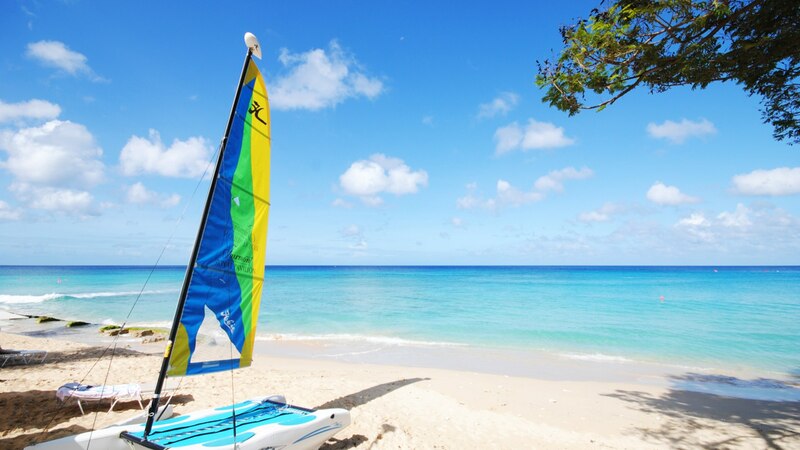 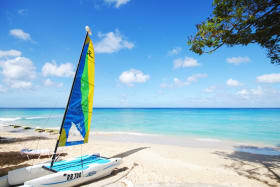 Beach access can be arranged at The Beach Club adjacent to Royal Pavilion Hotel. 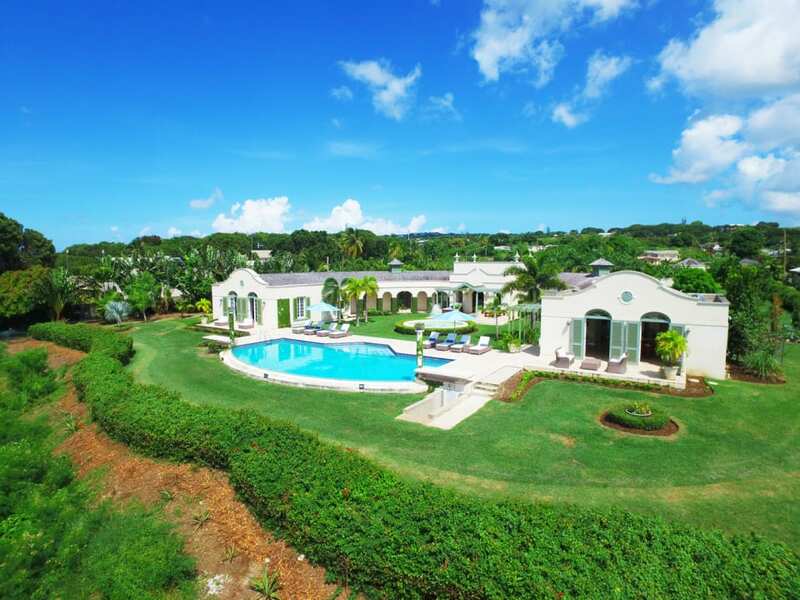 Golf, tennis and shopping are available nearby.